MSQRD is one of the best face swap apps for Android and IOS devices. It is a free application developed and published on the app store by Facebook. You can use the MSQRD application with or without signing into FB. With this application, you can turn yourself into a monster, animal, cartoon, witch, ghost, clown, etc. In case you don’t want to download MSQRD, check our below list of great apps like MSQRD. But before going through the list, let’s first learn why you’re searching for an alternative application. Size: MSQRD is a large application. Its APK size is 32 megabytes due to which people think twice before downloading the app. The reason for the large size is apparent. The images that appear when you apply a filter are loaded from the flash storage memory of the phone. If the pictures were loaded from the web, MSQRD wouldn’t have been a fast application. Storing images locally means you can use the app in offline mode. Filters: MSQRD offers many filters. If you have used this app for a few weeks, you’ll be bored with the default filters. FS is a free Android application, with which you can replace your face with your parents, kids, siblings face in a few seconds. It can load pictures from the phone gallery app. It supports face scaling feature which you can use to adjust the size of your cheeks, chin, nose, ears, lips, etc. FS has the option to save the image to MicroSD card. It lets you turn our head upside down. It can detect a person’s face automatically in a picture. This application allows users to share their edited images on social networks such as WhatsApp, SnapChat, etc. Face Swap requires few permissions and it works on devices running Android 2.3+ OS. 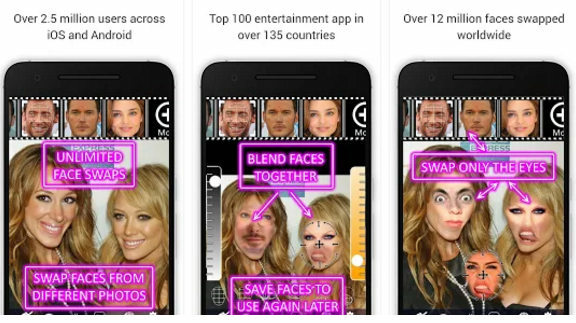 MB is yet another widely used a live face swapping tool for Android. To get started with Mix Booth, open the Play Store and install the app. Run MB and tap on the start button. Now, tap the add image icon and choose camera option. In case your selfie camera isn’t working, select the gallery option. Once Mix Booth captures your pictures, it will show thumbnails of up to 10 unique images. Select the thumbnail of your choice and Mix Booth will swap your face with the one shown in the thumbnail. The app provides the option to load custom pictures. 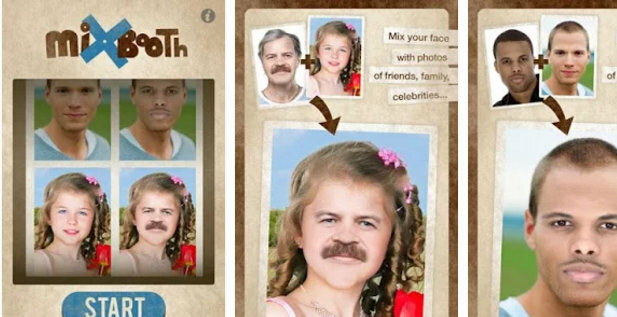 Like Face Swap, Mix Booth lets you share your pictures on FB, Twitter, G+, etc. It is a small application with 10 megabytes APK size. Beta version fo FSL has hit the play stores and it has reached a milestone of 500K users. FSL is an advanced application that allows users to swap faces in real-time. It supports images stored on the mobile phone’s ROM or MicroSD card. FSL supports video recording feature. This application saves recorded videos on the phone’s storage so that you can watch it unlimited times with your friends and relatives. FSB is not as popular as the above applications, but it works great on mobile devices. It allows you to swap heads on photos and superimpose one face on another. 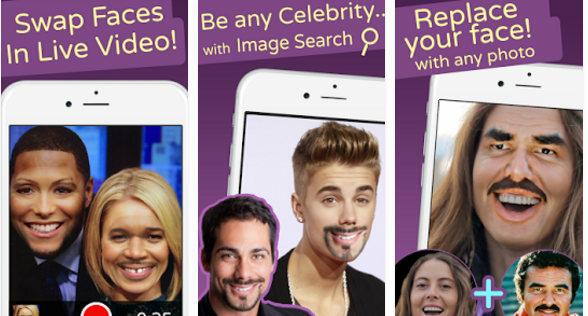 The app can detect the face of a person in an image. It lets you create strange looking people. FSB ships with over 50 photos of celebrities and famous personalities. It provides basic image editing functions with which you can make the new face adapt to the body of the person. FSB swaps face in real-time. It enables users to share edited photos on their favorite social networks. 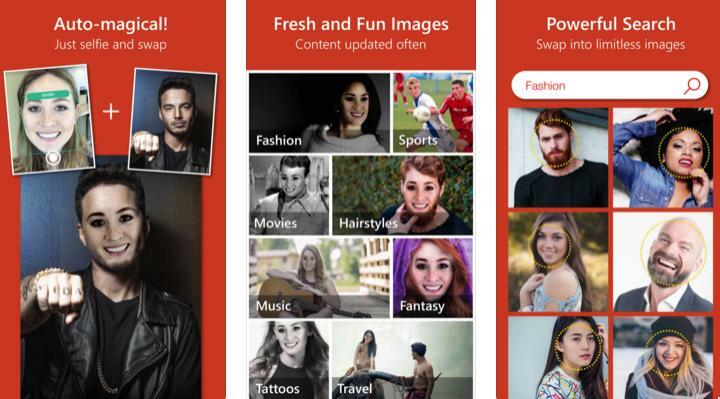 MS Face Swap is a 22 megabytes app which you can use to replace your face with the face of any person you find on the web with its inbuilt image search tool. The application employs an intelligent face morphing algorithm to make the edited picture look original. It also provides an option to add stickers to the edited image. MS Face Swap asks users to take their selfie. Then, it analyzes the captured picture and blends it on a dummy head. Users are then asked to select their favorite scene from the list of scenes. Microsoft FS automatically exchanges the face, adjusts skin tone, etc. Conclusion: The above apps like MSQRD allow you to swap faces of people with ease. You don’t need special photo-editing skills nor you have to undergo any training. Use your favorite application from the above list for a few minutes and you’ll become an expert at swapping faces.